Why do I offer this service for free? I'm so glad you asked! ✅ As a Pinterest virtual assistant and operating a Pinterest management company, I've worked directly with over 100+ clients. ✅ I created Pinterest Presence to help clients, businesses and bloggers take the DIY approach to grow their online business. ✅ As the co-founder of Become a Pinterest VA TODAY!, I've helped entrepreneurs become a Pinterest virtual assistants and Pinterest managers. ✅ Combined, I've helped thousands of clients, DIY'ers and students rock Pinterest to positively impact and grow their businesses. As a way to pay it forward and help bring together potential clients and Pinterest VAs, I help bridge the gap between the client and Pinterest VA. There is no other free service like this out there! 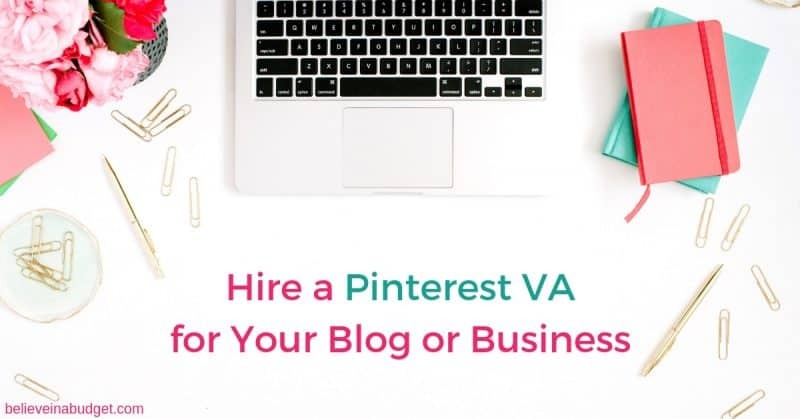 Since creating the Pinterest Virtual Assistant finder in 2018, we've helped over 50+ clients hire a Pinterest VA. Talk about amazing! 👍 If you know your blog or business needs Pinterest, but aren't sure what all you need help with, don't worry! Our Pinterest VAs skillset ranges from beginner to advanced and can help you with a wide range of services. 💲 Worried about working with an agency and big price tags? Our Pinterest VAs work 1-on-1 with you directly, which helps build a really strong relationship! 💲 During the interview process, your potential Pinterest virtual assistant can help determine if your budget is align with your goals. 💲 Together, you two can create a plan so it's a win-win for both parties. The Pinterest VA Finder process is simple and straight-forward! ✅ You fill out the form below for free! ✅ I submit your form to the Pinterest Post Community, a private group of students/alumni from my joint-course Become a Pinterest VA TODAY! within 24 business hours. ✅ Students and alumni email you directly to pitch their services if they feel they are a good match. ✅ You interview and hire as seen fit. What Pinterest services are you looking for? (Check all that apply). Your information is kept confidential and only shared within the private Pinterest Post Community. We do not sell or share your information, and do not spam. After filling out this form, all future correspondence will come from our other inbox. Please look for an email from [email protected] within 24-48 business hours after submitting the form!